Some 15,000 trees will be planted at the Carbon Forest Project in Bago Gallera, Davao City for reforestation of the six-hectare open space forest. The event was funded by the Ayala Land Corporation and organized by the the Philippine Eagle Foundation (PEF). One of the PEF project coordinators explained that the project started last year but assessment about the area was made to make sure that the open space will be filled with trees that could contribute to provide the wildlife a habitat suited for them. "We are now up to planting and transplanting since there are available wildings in the site. This is an open area, walang trees, grass lang talaga," one of the project coordinators told reporters Saturday, February 16. In the document showed by PEF, the methods used to achieve the reforestation and rainforestation started with site assessment and profiling, nursery establishment, land preparation, planting and daily monitoring and maintenance. A hundred volunteers participated in the transplanting activity. Some were students who came in groups, families, and colleagues in work. 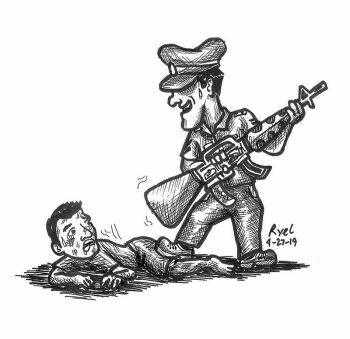 Task Force Davao (TFD) and the Davao City Police Office (DCPO) also volunteered. 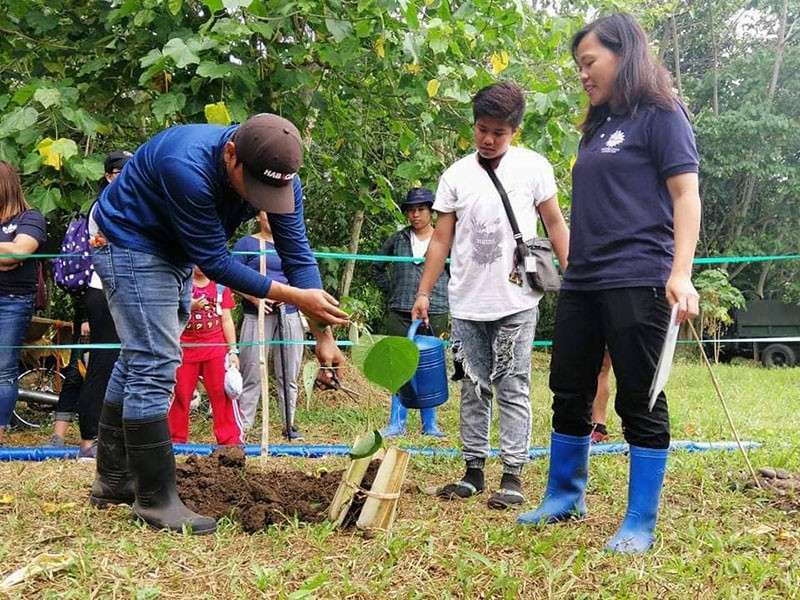 Department of Tourism (DOT) Davao Regional Director Tanya Rabat-Tan said the tree planting activity is a show of support to sustainable and responsible tourism. “This is also our way of involving ourselves in doing simple acts such as these. And we are also concerned with the issues on climate change and other environmental concern. As a government agency, we felt the need to really get involved,” she said. PEF, on the other hand, encouraged more Dabawenyos to join the activity by signing up on their website. The project started in January this year and is targeted to finish by March. However, the daily monitoring and maintenance of the planted trees will be done daily.